"I think that Golan Heights is part of Israel and should remain part of Israel for strategic purposes. I also think that because of the situation it would be good for the United States, too. Whoever may take over Syria may try to recapture the Golan Heights," Engel said. A spokesman for House Majority Leader Steny Hoyer (D., Md.) also said in January, "Israel should maintain control of the Golan Heights." It is unclear if Democratic leadership in the House would move forward with such a measure because of an increasingly hostile view some young Democrats have of Israel. Two new members of the Democratic Caucus, Reps. Rashida Tlaib (D., Mich.) and Ilhan Omar (D., Minn.), support the Boycott, Divestment, and Sanctions (BDS) movement against Israel. 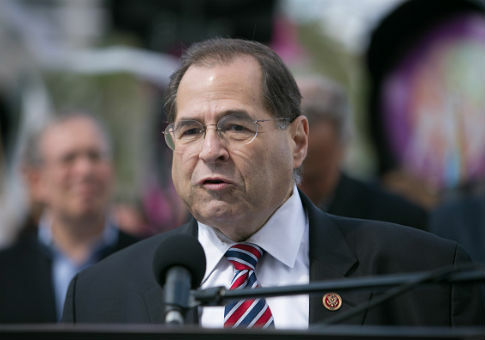 This entry was posted in National Security and tagged Carolyn Maloney, Golan Heights, House Democrats, Israel, Jerrold Nadler. Bookmark the permalink.